In this episode of The Football Coaching Podcast, I’ll go into detail about how to prepare for a rain game. I’ll give you the 11 items your program needs to have to get ready (put these on your off-season shopping list!). Then we’ll talk about in-game management. Keeping the balls, and your players, dry all night. And how you can still hit the perimeter without tossing the football. 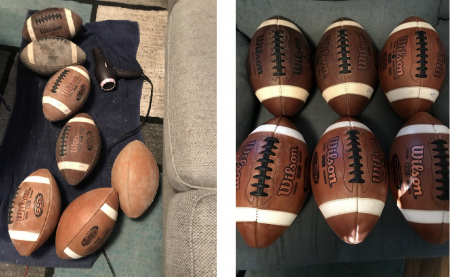 Finally, I’ll share how we played a game in a driving rain, and got all of the footballs back to game-ready. The entire process (good and bad) is shared on this podcast!